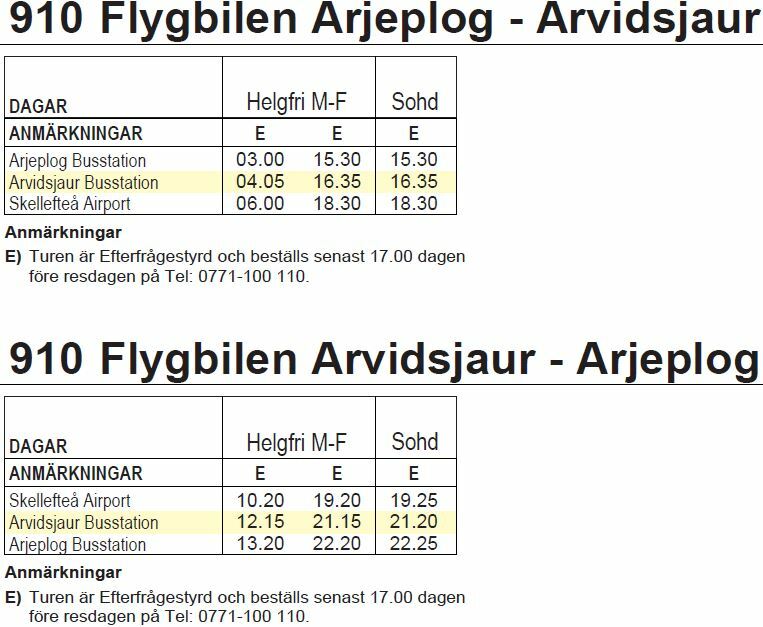 Now there is a possibility of a shuttlebus from Arvidsjaur to Skellefteå Airport. Arjeplog and Sorsele join in Arvidsjaur. The traffic is adapted to regular scheduled departures. 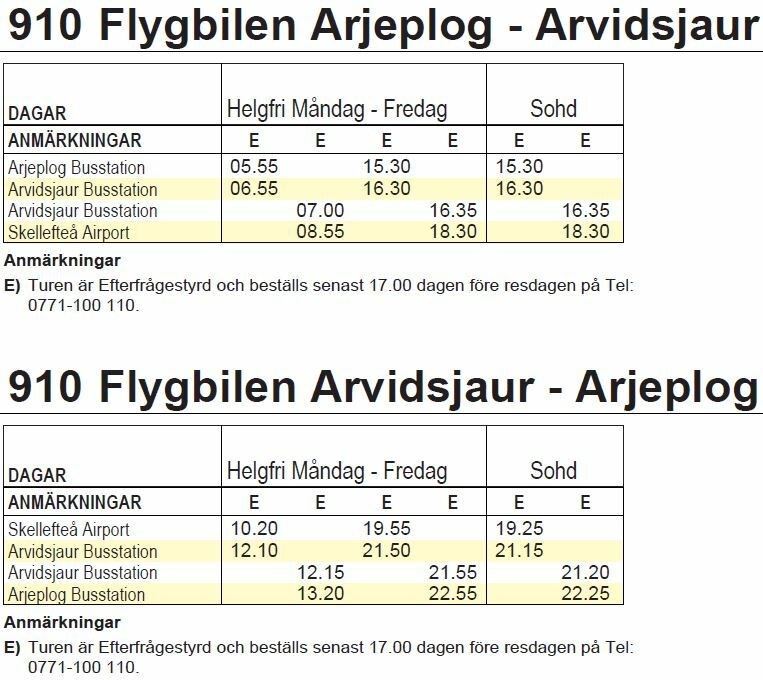 It is the Swedish Transport Administration, which arranges temporary connecting traffic in cooperation with the regional public transport authority in Norrbotten until the air traffic on the Arvidsjaur and Gällivare lines starts. The tour is demanded and ordered no later than. 17.00 the day before the travel day by phone: 0771-100 110.